Battelino T et al. Diabetes Technol Ther. 2011 Jan;13(1):49-54. Sensor augmented pump therapy vs CSII in adults and children (7.5%<HbA1c<9.5%). RCT, 17 months f/up, 153 pts. Children using continuous glucose monitoring missed significantly less school days (51.9 vs. 183 days/100 pt years). Subjects performed significantly fewer SMBG during the Sensor On period (daily median 4.9 vs. 5.5). González-Molero I et al. J Telemed Telecare. 2012 Sep;18(6):328-32. 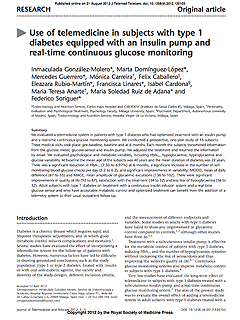 The study was conducted on 15 patients with type 1 diabetes, all treated for more than 1 year with insulin pump therapy and an integrated real-time continuous glucose monitoring system (Paradigm real time PRT, Northridge, CA, USA), with HbA1c , 8% and normal renal function. The subjects were followed up for 1 year and monitored exclusively by telemetry (CareLink®) during the last 6 months of this period. During the first 6 months, the subjects were provided with the telemetry material and given instructions about its use. The participants made 3 outpatient visits: at the start of the study, i.e. 6 months before beginning the telemetry period (pre-baseline), just before starting the telemetry period (baseline), and 6 months after initiating the telemetry period (6-month visit). A1C baseline 7.5%; A1C at baseline 7.24% and A1C at 6 months 6.97% (p=0.011). 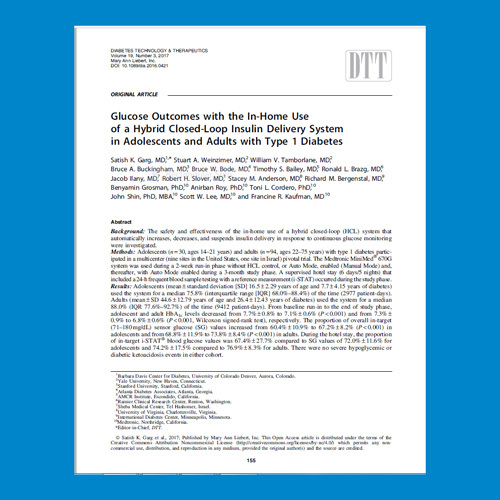 "Thus, we conclude that adults T1DM on sensor augmented pump therapy and who have acceptable metabolic control and optimized treatment can benefit from the addition of a telemetry system to their usual outpatient follow-up, experiencing additional improvements in their HbA1c, glucose variability and quality of life, as well as a reduction in their fear of hypoglycaemia." Corriveau et al. Pediatr Diabetes. 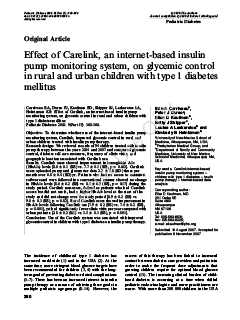 2008 Aug;9(4 Pt 2):360-6.
Review of 94 paediatrics treating with insulin pump therapy comparing glycaemic control, diabetes self-care measures, frequency of clinic visits, and geographic location associated with CareLink® use to determine whether use of the internet-based insulin pump monitoring system, Carelink, improved glycemic control in rural and urban children treated with insulin pump therapy. 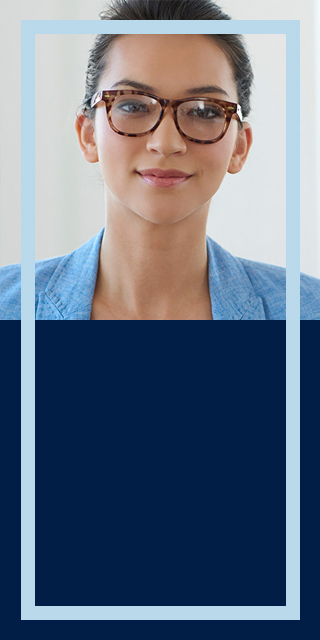 Patients using CareLink showed a statistically significant improvement in A1C levels as compared to patients not using CareLink. 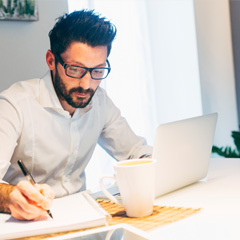 Rural CareLink users showed improvement in A1C levels following CareLink use, yet had significantly fewer clinic visits per year compared with urban patients. Murphy et al. BMJ 2008;337:a1680. 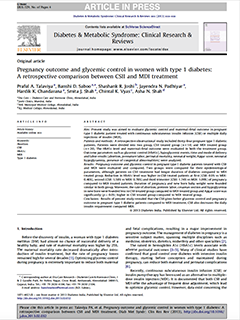 Prospective, open label randomised controlled trial of 71 women with Type 1 diabetes (n=46) or type 2 diabetes (n=25) allocated to antenatal care plus continuous glucose monitoring (n=38) or standard antenatal care (n=33) to evaluate the effectiveness of continuous glucose monitoring on maternal glycaemic control, infant birth weight, and risk of macrosomia. 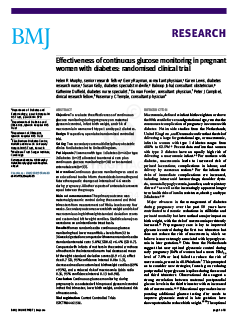 Women randomised to continuous glucose monitoring had lower mean HbA1c levels from 32 to 36 weeks’ gestation compared with women randomised to standard antenatal care: 5.8% (SD 0.6) v 6.4% (SD 0.7). 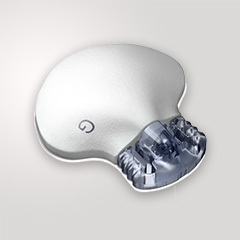 Compared with infants of mothers in the control arm those of mothers in the intervention arm had decreased mean birthweight standard deviation scores (0.9 v 1.6; effect size 0.7 SD, 95% confidence interval 0.0 to 1.3), decreased median customised birthweight centiles (69% v 93%), and a reduced risk of macrosomia (odds ratio 0.36, 95% confidence interval 0.13 to 0.98). Talaviya et al. 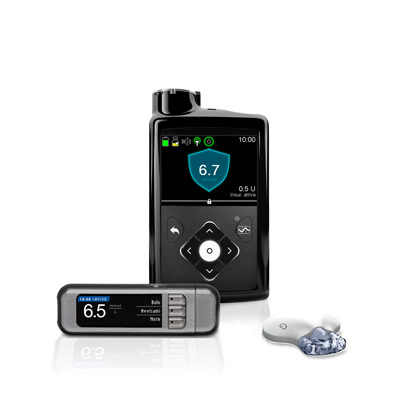 Diabetes Metab Syndr. 2013 Apr-Jun;7(2):68-71. 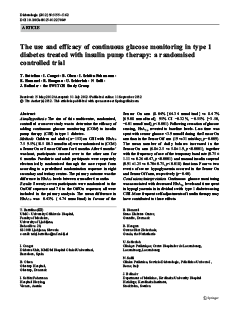 Retrospective observational study of 34 pregnant Type 1 patients (pump therapy n=14 / multiple daily injections n=20) to evaluate glycaemic control and maternal-fetal outcome.